We just got a laser printer because we didn't want to keep spending crazy amounts of money on ink. We got a good deal on it, and now we don't feel guilty about printing out lots of stuff. This means that now we're really excited to print out worksheets for our kids to work with, so today I celebrated by making another worksheet! Earth is the only one that's kind of hard for kids to understand. 地 has a lot of meanings and isn't very easy to translate. But it's a common character so we think it's good to learn soon anyway. 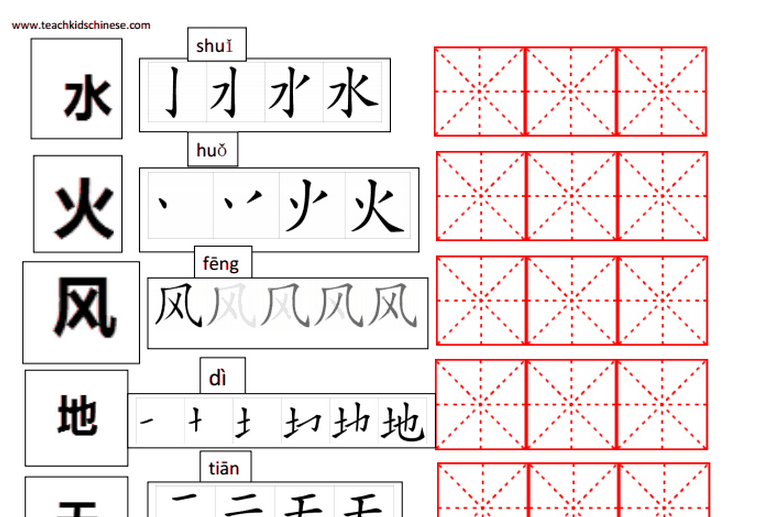 Actually they are all common chinese characters. This worksheet has two parts. 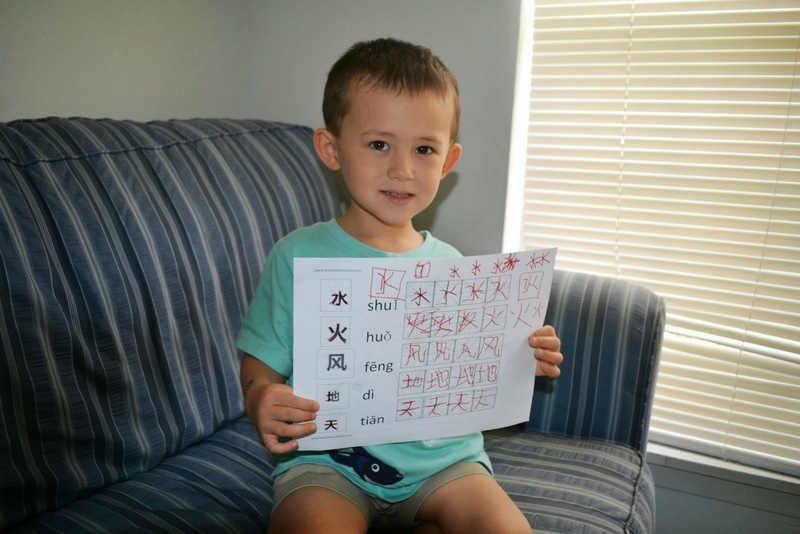 The first part is a traditional worksheet with stroke order and spots to practice writing. 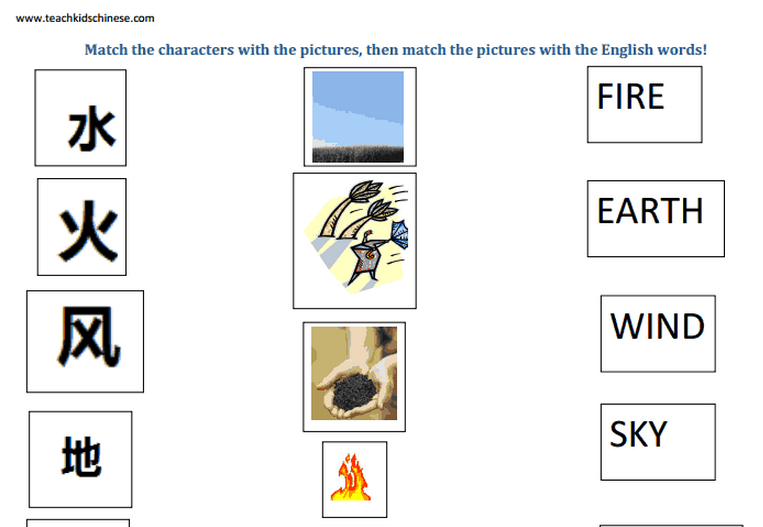 The next page is a matching game! We let our son do them today, and it was a big hit! 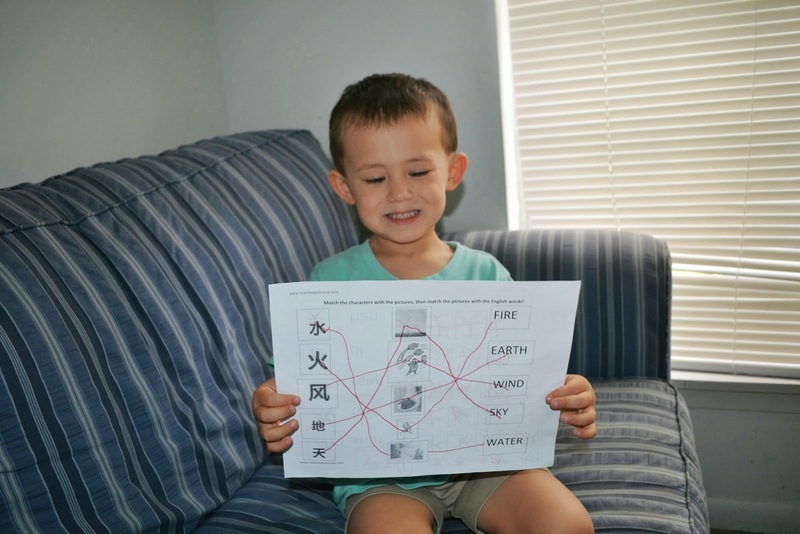 He loved the matching game and he really started to learn those five characters. These worksheets are making for great quiet time activities.